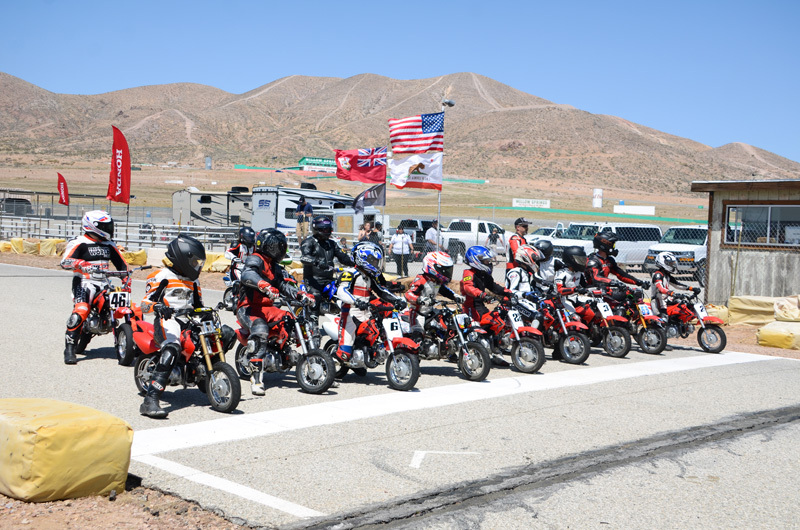 The Bermuda Motorcycle Racing Club’s youth division, Spark, took nine youth racers to Willow Springs International Raceway in California, the oldest permanent road course in the United States. 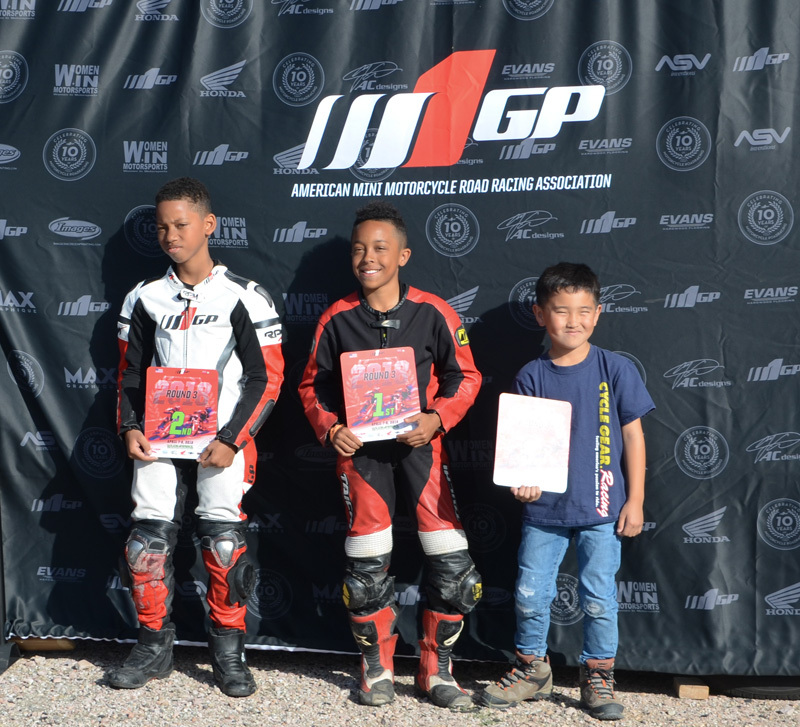 Keimari Burchall, Nathaniel Binega-Northcott, Aiden Lopes, Sheun Simmons, Jediah Cumbermack, Norre Robinson, Kymaree Pitt, Aeziah Divine, and Ryan Chequer trained in the M1GP Road Racing Association’s Riding Clinic. The training was followed by a day of open practice paired with their first Endurance Race. The third day consisted of a full official race day for the M1GP’s Round 3 of their local race series. 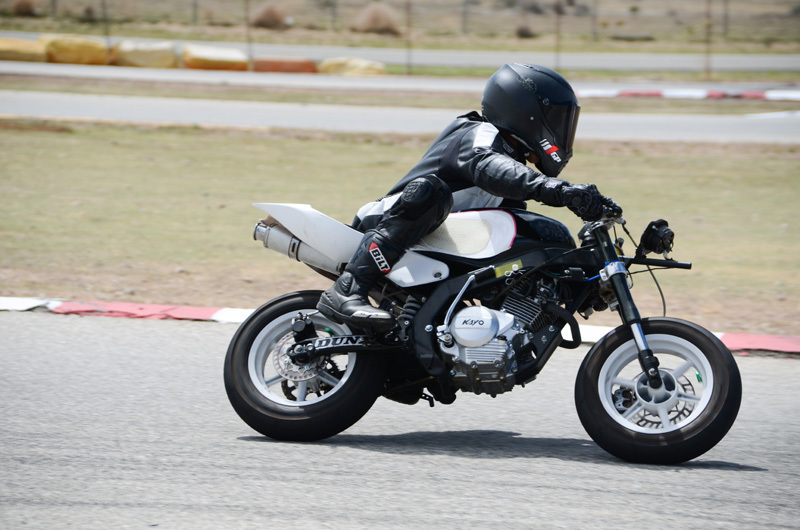 Bermuda riders raced in five of the seven race classes of the day with many opting into multiple classes and pushing their limits on larger and more advanced motorcycles. Several boys raced on bikes that they had never trained on prior to the race and succeeded in maintaining their reputations as ambitious rising racers. Young Bermudian racers captured many podium-place finishes including the earliest win on Saturday by Keimari Burchall and Nathaniel Binega-Northcott who secured a solid 2nd Place win with their team for the 2-hour Endurance Race where they teamed up with California-based young female racer, Jasmine Nichols on her mini moto Kayo 125cc motorcycle. Sunday’s race day saw wins by even more group members including Norre Robinson who secured two 1st Place wins in his two races of the 50 Cup. This was Robinson’s first official race of his young career, making it an even bigger personal win for him and his family. Jediah Cumbermack took home a 2nd place in the same race class. Cumbermack is the BMRC’s newest racer, only joining the BMRC’s Youth Riding Clinic in the summer of 2017. Keimari Burchall was the most captivating racer to hit the grid on Sunday as he raced in the 65gp class. He dominated the group from the first corner and gained a bigger lead after each of the eight laps. Burchall won both races for the class and earned his 1st Place finish with ease. This was Burchall’s first race at this level, moving up from the Minibike Senior race class of the BMRC’s Circuit Racing Championship Series. Burchall also took home a 3rd place finish in M1GP’s Road Warrior race where racers went up against their own lap times to seek an advantage over their prior results. He left with the most wins under his belt with a total of three podium finishes across several race classes. Ryan Chequer joined Burchall with a 2nd place finish in the Road Warrior race, achieving the second most consistent lap times throughout the day’s races. 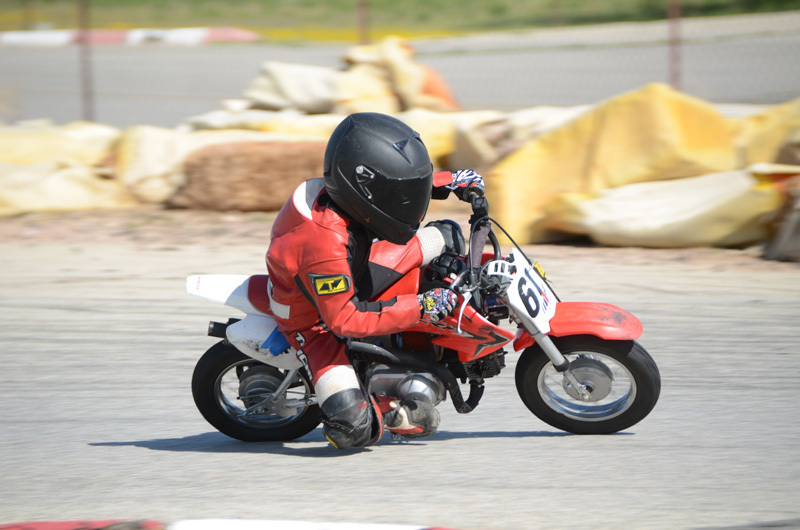 Chequer has been riding with the BMRC for four years and is currently one of two eight-year-old racers making a name for himself in the local, and now international, racing scene. Further racers excited the crowds over the weekend as their Race Day, practice, and Endurance Race were all live-streamed worldwide. Nathaniel Binega-Northcott made his debut in the Open GP class where he raced his M1GP coach’s Honda NSR 50cc motorcycle. This was Binega-Northcott’s first time on the motorcycle and he did not hold back from the opportunity to race the bike and master it in the process. Aiden Lopes hit the grid in his first races at the 65GP and 125 Modified levels on the same motorcycle, also developing his skill as he progressed through each lap. Lopes also raced the Endurance Race with his team on a Honda 110cc pit bike. Kymaree Pitt and Sheun Simmons took on each other for many of the races on Sunday, fighting to hold off each other as they closed in on the leading pack of the 50 Cup and Outlaws 88 race classes. Local contenders joined the fight to the finish, but it was Pitt who finally took the overall lead over their pack as they reached the finish line. Simmons was sure to test his skills across multiple motorcycles throughout the weekend and is now working towards moving up to a higher race class in the upcoming race season. Aeziah Divine and Ryan Chequer took on California-based racers as they followed closely behind Pitt and Simmons in their classes. Ultimately, it was Divine who broke away from the pack and worked his way forward, pushing past other contenders to close in on Simmons and Pitt. As the other eight-year-old on the Bermuda-based team, Divine overcame a number of unfortunate crashes throughout the weekend where his resilience was tested. He fought back to maintain a firm position, finishing towards the middle of the group.